When Ian and Sara made Le Chèvrefeuille their home and their life, the mission was to create just the sort of place they would love to find for their own family holidays. Having two children of their own provides a pretty good starting point and the accommodation, facilities and helpful services on offer, shows the couple really understand what makes all the difference to parents and to children. 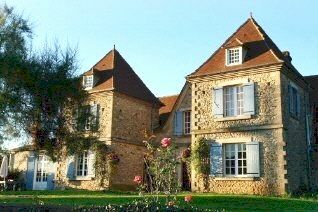 Located in the heart of the Dordogne, the charming ‘Perigordine' farmstead of Le Chèvrefeuille now comprises two self catering gîtes and five ensuite chambres d'hôte rooms around an inner courtyard and surrounded by extensive, grassy gardens. The style of the accommodation is a blend of medieval charm and modern comfort, from exposed sandstone walls and golden wood floors to gleaming bathrooms, WiFi throughout, satellite TV and quality baby kit. Whichever accommodation families choose, Ian and Sara have made sure that parents enjoy the perfect balance of quality time with the children, precious time to themselves and fun for all ages. The sparkling pool is a child friendly focal point, surrounded by a secure fence, with a corner area for babies, full length steps for dipping little toes in the water and no deep end. Mums and dads can keep a watchful eye too, while relaxing on the poolside loungers and gazing on the views across the Valley. Both gîtes also have terraces where parents can watch children playing by the pool, while sampling renowned Perigord delicacies that are a must from the fantastic local markets. In addition to the pool, there's plenty to keep children amused inside and out, including table football, climbing frame, swings, toy room and TV room with a DVD player and Wii. Bikes are also available from toddlers to teens, including an infant seat attachment and children are encouraged to help the owners collect eggs from the farm hens. 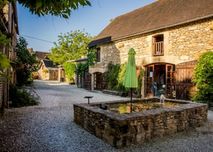 Whilst the gites are primarily self-catering, breakfast is provided daily from May to September, family cookery courses all year round and food demonstrations in July and August. Owners can also provide pre arrival shopping and pre cooked meals to reheat if ordered in advance of arrival. Families will love being able to take part in the highly popular Family & Kids Cookery Course - a great opportunity for some family bonding time. Ian’s passion and enthusiasm for local produce, getting kids into cooking and healthy eating is infectious. He is a natural teacher who knows exactly how to tailor the course to his audience. He has a fun and light-hearted teaching style. 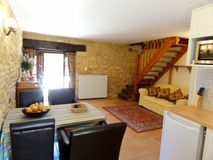 As well as guest rooms in the main house, Le Chevrefeuille has a two and a three bedroom self -contained family gite. The two-bedroom 'Passiflore' has a contemporary fitted kitchen (oven, hob, microwave, sink & fridge with freezer compartment) open plan living dining area and a lovely private terrace with outdoor furniture and BBQ opening out onto the communal lawns. 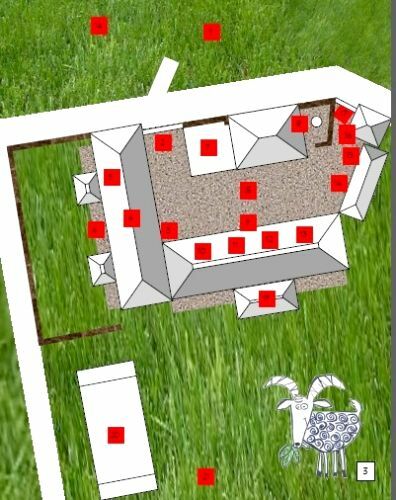 Upstairs, there's a double (200cmx160cm bed) bedroom and one twin bedroom, both of which share a shower room (baby bath available). The gite has use of all communal facilities including swimming pool, indoor and outdoor kids play areas, laundry room, library with Wi-fi and laptop available and the 'bistro' for breakfasts. There is a sand-fringed swimming lake 20 mins away with excellent called Tamnies which is perfect for families. 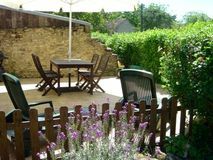 Le Chevrefeuille has a fenced swimming pool 13m x 5m, situated in their meadow garden with views over the valley. Baby gear available: 4 travel cots with mattresses, 2 wooden cots, 2 highchairs, 2 baby bath, 1 baby bouncer, 2 baby monitors, 1 steriliser, 2 potties, 2 stairgates, bed guards, socket covers and plastic crockery. Indoor toys provided include: bath toys, kids books, general toys, U-rated kids DVDs, kids VHS library, WII and wi-fi. Breakfast is provided daily from May to September, a family cookery courses year round, and food demonstrations in July and August. Owners can also provide pre arrival shopping and pre cooked meals to reheat if ordered in advance of arrival. Outdoor play gear includes: buckets, spades, ride-ons, trikes, swings, paddling pool, climbing frame, football net, table football, badminton, swimming pool & inflatables. 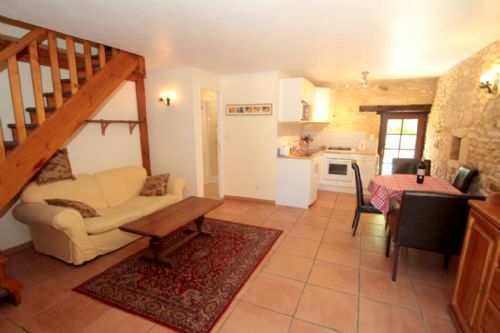 The gite has a private terrace and shares extensive shared gardens. Dogs are accepted and charged at 50 Euros per week. 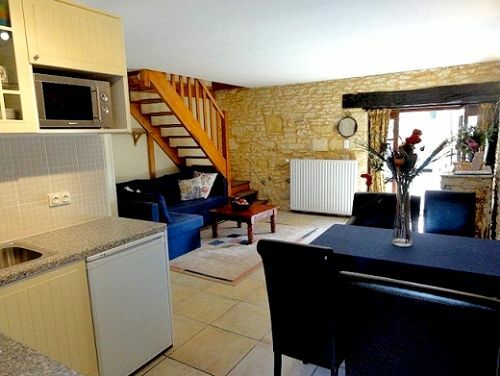 The gites are next door to a horse riding centre which offers horse riding for children.